Two Doncaster foodbanks have joined forces to work with a major supermarket, in a move which is boosting our Free Press Foodbank campaign. 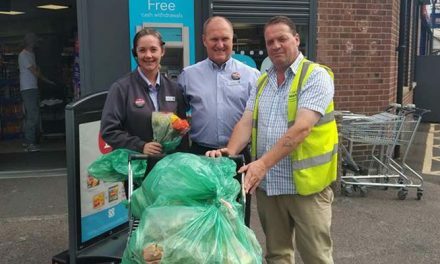 The Sainsbury’s store on Thorne Road, Edenthorpe, has donated surplus bakery products, fruit, vegetables and salad to stock foodbanks at a time when managers running Doncaster’s foodbanks are concerned over the rising demand for their services. 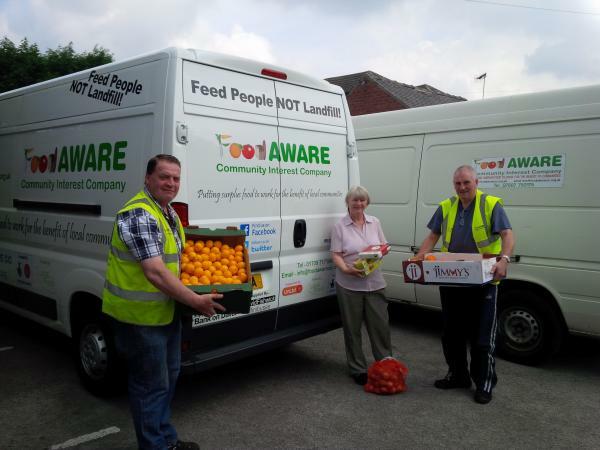 The firm hands over a consignment of food each Tuesday, which is passed on to both Mexborough Foodbank and to Thorne Moorends Foodbank, who share a van to make the run. Thorne Moorends Foodbank also have a trolley in store for any customer donations of tinned/packet food to compliment food parcels distributed on agency referral. 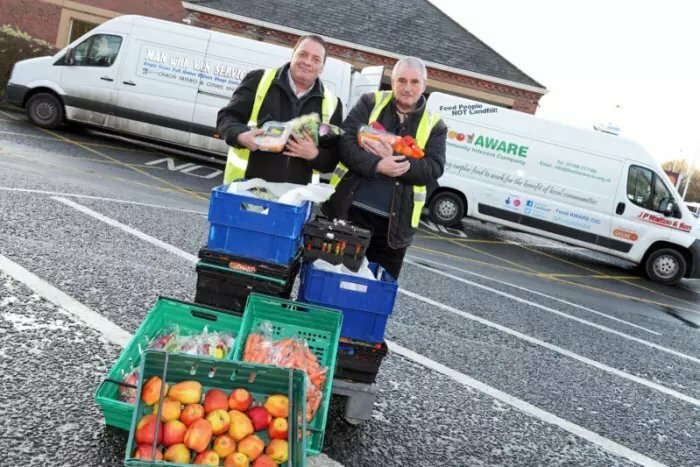 The Food AWARE team, which runs Mexborough Foodbank, also provide Thorne Moorends Foodbank with surplus food from its other suppliers including Morrisons, Tesco, and Marks and Spencer. 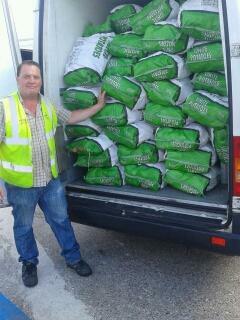 Sean Gibbons, managing director of the community interest company of Food AWARE said: “‘Man with a Van’ Carl Harrison volunteers his time and vehicle / fuel each week to meet our guys in our vehicle at Sainsbury’s and the takes the donation back to TMB for their weekly foodbank session every Wednesday. 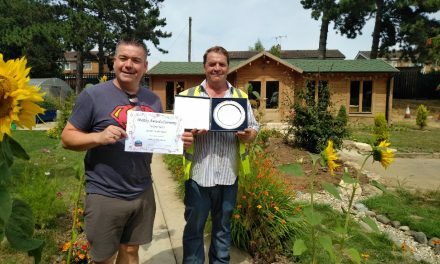 “This is an excellent example of partnership working across the third and private sectors with one common aim – to help those less fortunate. We are delighted to have been supported by Sainsbury’s since we launched back in 2008 and it was a real pleasure to be able to partner with Thorne Moorends Foodbank in 2013 and ‘Man with a Van’ Carl Harrison and work so positively together and to save on fuel costs. ” We launched the Free Press Doncaster Foodbank campaign to call on residents and businesses to help the borough’s foodbanks by making donations of food, or to offer premises as collection points. The campaign was launched after concerns from foodbank chiefs and Citizens Advice Doncaster Borough, which issues food bank vouchers, over a major surge in demand while the new Universal Credit benefit is being rolled out across Doncaster. Donations to Doncaster Foodbank can be delivered to Christ Church any Tuesday or Thursday between 9am and 12noon. Mexborough has collection points at Mexborough Library and the Children’s Hub. Items urgently needed include tinned fruit, long life fruit juice, tinned rice pudding, tinned meat, pasta sauce and rice. Doncaster Foodbank also takes toiletries, cleaning and sanitary products. Thorne Moorends is open for donations at The Rugby Clubhouse, Church Balk, Thorne on Wednesdays from 9am to 12pm.